As a result of her wide ranging and ground-breaking career, Shonda Rhimes, creator of ABC’s hit television dramas Grey’s Anatomy and Private Practice, developed a TV series inspired by Judy Smith. The hit TV series entitled, Scandal, revolved around the life and work of a professional fixer. Ms. Smith served as Co- Executive Producer of the project and provided insight and technical expertise on crisis management issues. Ms. Smith is the founder and President of Smith & Company, a leading strategic advisory firm. Over the last 25 years, Ms. Smith has brought her unique combination of communication skills, media savvy, legal and political acumen to clients facing a wide array of issues and challenges. Ms. Smith honed her skills through her experiences with some of the most historic and sensational events of our time, including the Iran Contra investigation, the prosecution of former Washington D.C. Mayor Marion Barry, the 1991 Gulf War, the Los Angeles riots, the President Clinton scandal involving Monica Lewinsky, the congressional inquiry of Enron, the General Petraeus CIA scandal and the Sony Corporation hacking crisis. Ms. Smith also serves as a counselor to Fortune 500 corporations and has provided strategic advice on a variety of corporate communications issues such as mergers and acquisitions, product recalls, intellectual property litigation, corporate positioning, diversity and other challenges. A former federal prosecutor, Ms. Smith also served in the White House as Deputy Press Secretary to President George H. W. Bush. 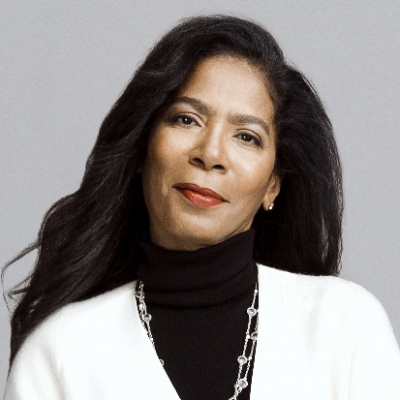 She received a Bachelor of Science degree in Public Relations from Boston University and graduated from the American University Washington College of Law where she was the first African-American woman to serve as Executive Editor of the Law Review. Ms. Smith is the author of the book, Good Self, Bad Self. She has had the honor of receiving numerous communications, leadership and community service awards.